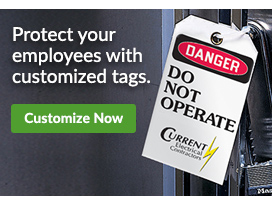 Tags are used to identify equipment, inventory and safety hazards in your workplace. Choose from our wide selection or create your own tag. View our Tag Selection Guide here. Tags from Seton are very handy for identifying various types of equipment, from appliances and machinery to tanks, valves and much more. The identification and labeling of equipment with tags is important to the continued health and well being of your workers. Seton carries an extensive line of inventory and equipment tags, inspection tags, custom tags, asset tags, OSHA and safety tags, blank tags, parking tags and even tag fasteners and holders. Each tag has a specific use, so make sure to purchase the right tag for the type of identification you need. Some tags are mandated by government regulations. This is the case with OSHA tags. OSHA tags are used to identify various items that can be dangerous or hazardous to workers in and around your office, warehouse or facility.